Poole Bobbin Lace Circle (PBLC) was established in 1982 by a group of lacemakers. 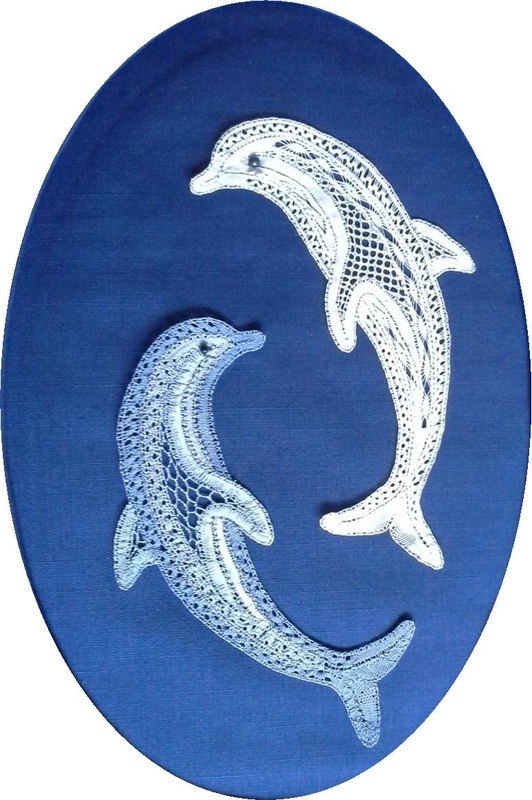 The vision of this group was to promote the knowledge and history of bobbin lace as well as to provide an opportunity for lacemaking friends to meet, work together and exchange ideas, information, patterns and inspiration. Over the years PBLC has flourished and today there are about ninety members. If you would like to know more about the craft of Bobbin Lace, click here. PBLC's Coral Anniversary (35 years) was in 2017. Click here to find out how it was celebrated. The highlight of the year is the annual Rose Bowl Competition and the presentations are made at the July meeting just before the AGM. Each year the competition has a special theme and all competition entries in the adult classes relate to the theme. In 2019 the theme will be 'A Pair'. Please browse our pages - there are plenty of beautiful lace creations. PBLC has a Christening Robe and accessories made by a lace class in the 1980s. Click here to find out more.